While summer is right around the corner, it hasn’t felt like it much in New England lately. We’ve had a cold and rainy spring. I’m very much looking forward to warmer weather and time spent at our Camp! 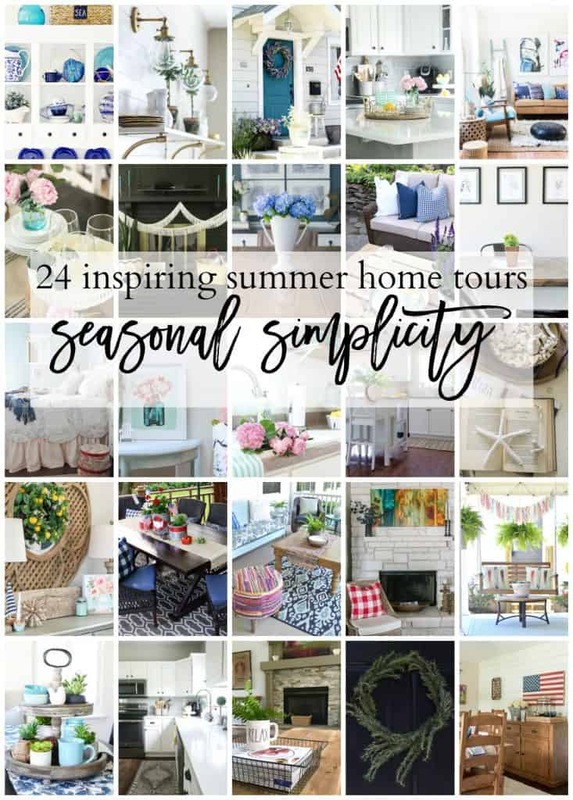 I’m so excited to be sharing today as part of the Seasonal Simplicity tour with April at House by Hoff and Krista at the Happy Housie! I have always wanted to do a Patriotic styled shoot. While I admit that my vision was for outdoors, unfortunately, I don’t yet have an outdoor dining area. It’s honestly at the bottom of my wishlist, due to the previously mentioned wet and cold weather we are prone to. For now, this inspiration gives you some ideas for summer whether you are indoors or out. Nina so charming and I love the red, white and blue. I’m in NY and the weather has not been cooperating here either. Cheers to some warmer summer days ahead. such a pretty space, nina! 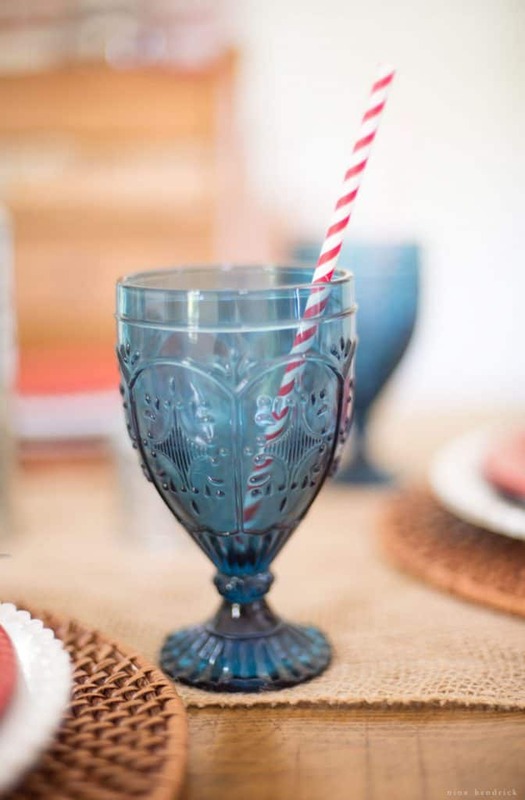 love the aqua goblets! So pretty and festive! 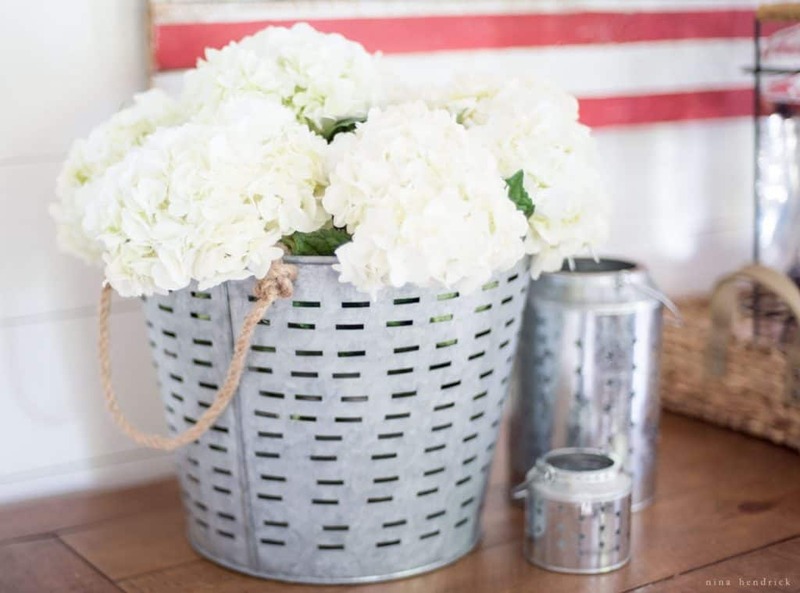 I love vintage touches like the wooden flag and the olive bucket. Gorgeous space, Nina! 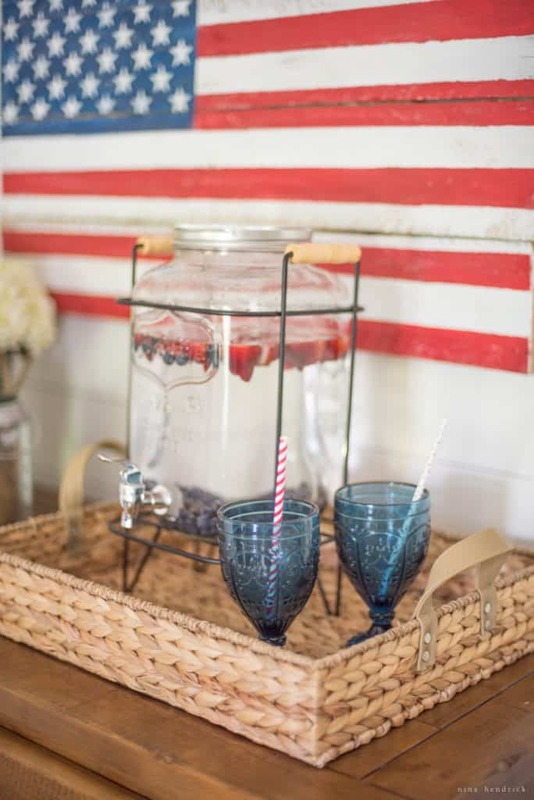 I love the patriotic touches – nothing says summer like red, white, and blue! 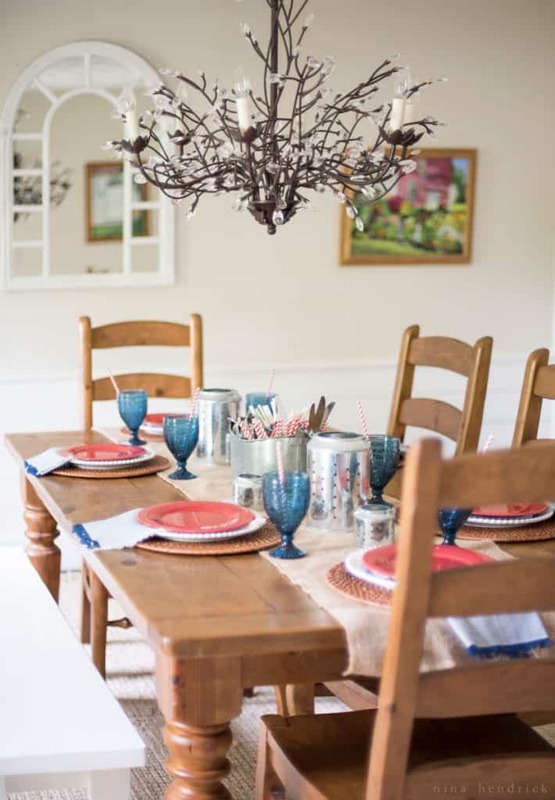 Such a pretty dining space, Nina! 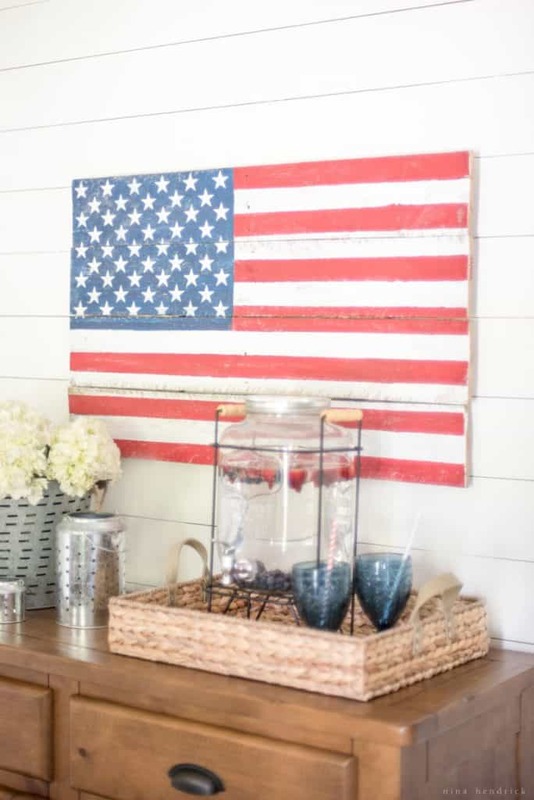 Love that wooden flag on the wall! 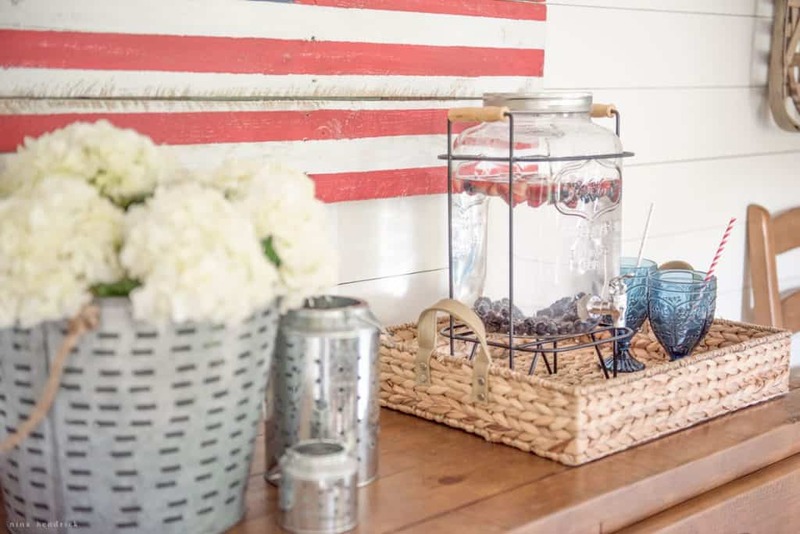 I love all the red, white and blue – it definitely looks like summer! 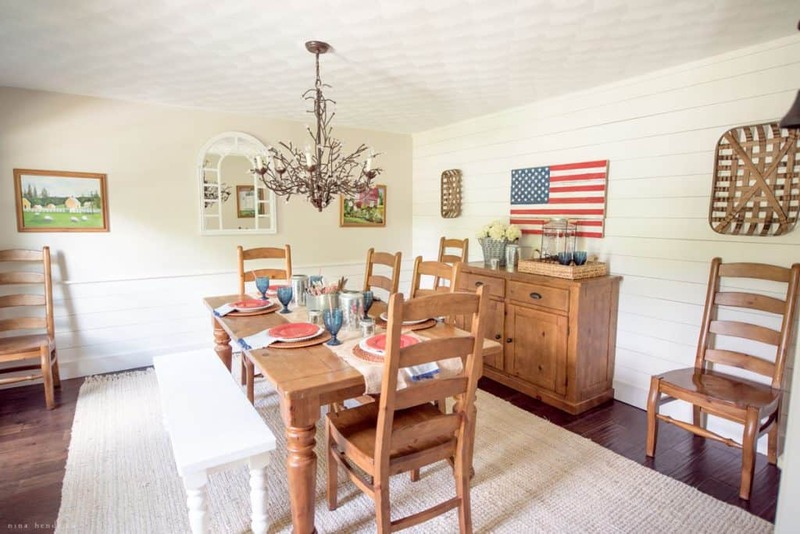 LOVE this patriotic dining room, Nina! It just says summer all over it! So pretty, Nina! 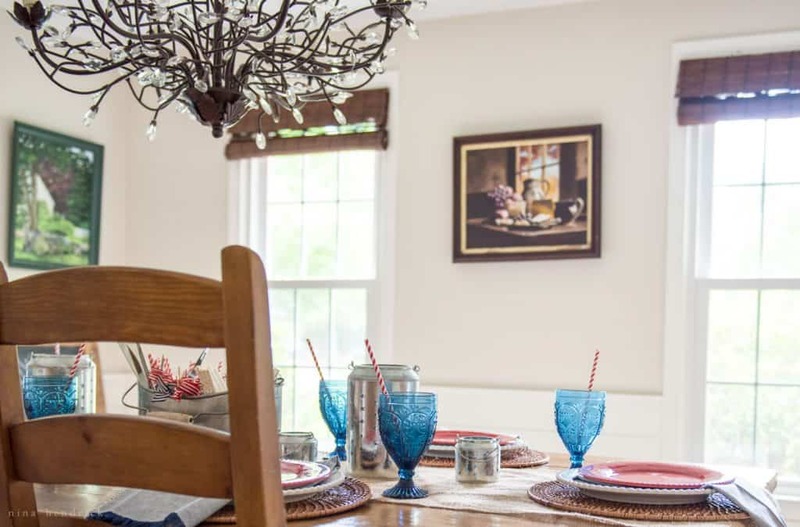 I love all the details you added – and your dining room is such a warm and welcoming space for any season! Hope you are having an amazing time away, friend. Thanks for being part of this tour! tell me more about te strawberry beverage, please. hanks for sharing with us. Nina this is so charming and welcoming! The patriotic theme is perfection!